Manage Inventory, Equipement, Time and Personnel all with RFID Systems tailored to the Supply Chain Industry from GAO. The Supply Chain & Logistics industries consist of sectors such as rail, vessel, and pipeline transport, freight trucking, warehousing and storage, and even couriers and postal services. Moving goods from location to location depends on effective inventory management, efficient maintenance of vehicles and overall security. 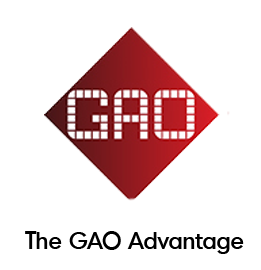 GAO RFID’s solutions provide technology that enable the accurate and effective management of supply chain & logistics to ensure business success. From rail transport to refrigerated warehousing and storage, managing the transport of clients’ goods requires timeliness and accountability. To achieve these key goals, there are many challenges that must be overcome by the Supply Chain & Logistics industries. The ability to manage inventory is paramount to the business; cargo, trailers, and containers all need to be monitored and tracked. Knowing where inventory is located ensures that goods transport is under control. Being able to track containers and returnable transport items also helps to keep capital expenditures in line. RFID tags on every inventory item means you can track and locate the most important important assets; allowing you to effectively deliver on your promises. Next to inventory, managing the equipment that helps to facilitate transport is also extremely important. From the tools that are assigned to the field to the large fleets deployed for the transport of goods, knowing where these assets are and their operating condition is key to maintaining an efficient operation. RFID technology tracks and locates vehicles and IT assets to ensure a clear visibility of asset utilization; in addition the monitoring of equipment health and maintaining service records can be automated to ensure accurate, proactive management of equipment that keeps the operation running. Success in the industry is based on the timely delivery of goods. The ability to automate processes in the field or on the yard helps simplify processes and reduces the time to delivery. RFID technology helps to automate processes that improves routing, distribution instructions, optimize container stowage, improving overall yard management. Personnel throughout the organization need to be monitored and managed to ensure safety and efficiency. From knowing where personnel are located in emergency situations to the ability to automate the payroll process, ways to automate these processes means a more efficient operation. Giving your personnel wearable RFID badges allows you to accurately identify and track worker movement throughout your site, creating a safe environment for your employees. Every location across the operation requires the ability to automate access to zones. Office, parking garage, and warehouse access must all be controlled to ensure safety and security of every site. RFID badges provided to personnel and vehicles grants them access to authorized zones. Access can be controlled by administrators remotely and movement through zones can be completely hands-free. We are here for you. 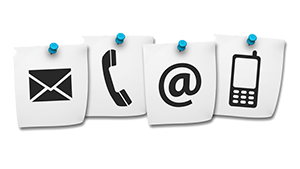 We can help tailor an RFID system around your Supply Chain client's needs including custom reports and software solutions combined with all the right hardware. Would you like to know more about RFID Systems for the Supply Chain Industry?